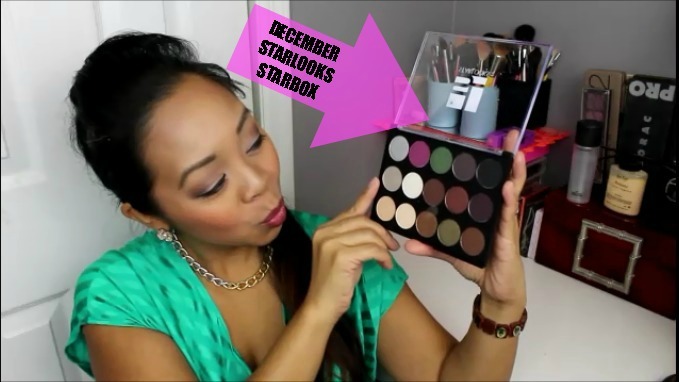 My un-boxing of the December 2013 Starlooks Starbox! If you have been following me, you would know how much I have raved about Starlooks products. I was even so fortunate enough to have my own Signature Mommytipsbycole set this past Spring and I use many of their products daily! So I’m excited to share another incredible valued Starbox with you! For only $15, you get 3-4 FULL SIZE product to build your Starlooks collection! But for this month, you get a full size 15 eye shadow palette valued at $99!!! Check out my video to see this gorgeous palette up close! Check out Starlooks Starbox for 3-4 FULL SIZE PRODUCTS for only $15/month! FTC: The products shown in this video were sent to me for review purposes from Starlooks.com. All opinions are my own and 100% honest.This is not a sponsored video.